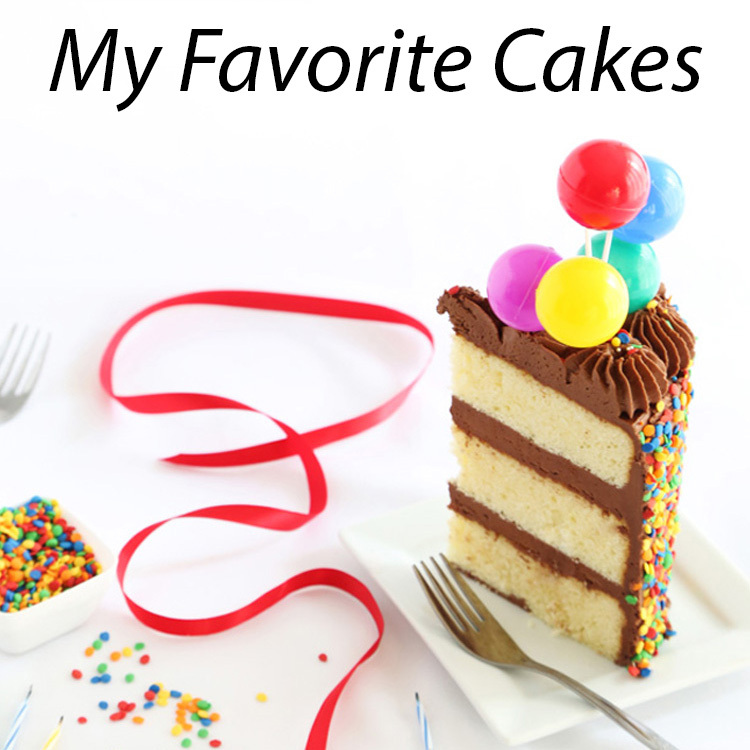 Since joining Wilton's Sweet Treat Team last February, I've had the opportunity to try out all kinds of new products and explore new ideas in confectionery. 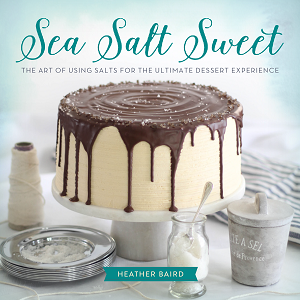 It's been a sugar-filled fun year to say the least! To end the year on a sweet note, the members of the Treat Team decided to have a cookie exchange. I was paired to swap cookies with Marilyn of Pink Martinis and Pearls. She makes some of the most beautiful sugar cookies I've ever seen, so I knew I had to up my cookie game. Plus, something pink with pearls had to happen! If you've never had the experience of shipping decorated cookies before, I can tell you from experience that it's a real nail-biter! These little pink stockings are making the journey from Tennessee all the way to California. Hopefully the little prayer I said over them, along with all the extra bubble wrap will help them to arrive unscathed. 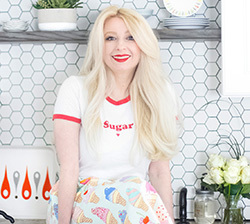 Below you'll find my favorite sugar cookie recipe for decorating, except this time they're infused with double vanilla goodness! 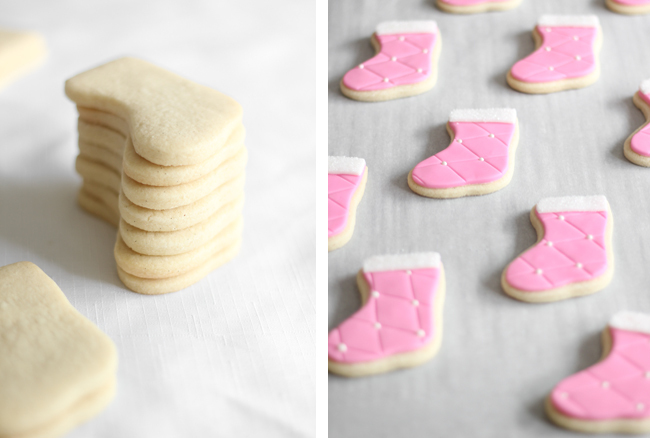 You can use this recipe for any shape cookie you like, but if you're interested in making your own pink pearled stocking cookies, scroll down a little furthe rfor the quilting technique instructions. Add the egg and vanilla and vanilla seeds. Mix again on low speed, stopping to scrape down the sides of the bowl intermittently as needed. Turn the dough out onto a sheet of wax paper and top with a second sheet. Roll dough into an oblong disc between the paper with a rolling pin. Transfer dough - wax paper and all - to a large cookie sheet. Wrap the dough tightly onto the cookie sheet with plastic wrap and refrigerate for 1 hour. Roll dough to a ¼-inch to ½ -inch thickness. Cut out desired shapes from the dough and transfer to the prepared baking sheet. 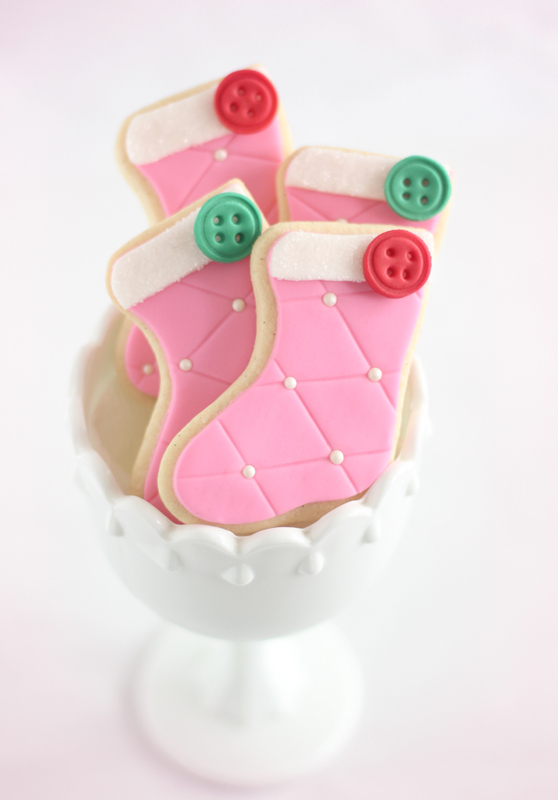 (Use a 3-inch stocking-shaped cookie cutter for the cookies featured.) Be careful not to stretch the cutout shapes or they will be distorted after baking. Bake the cookies for 15 to 20 minutes, more or less depending on size. Let cool on the baking sheet for 5 minutes. Transfer to a wire rack. Decorate the cookies when completely cooled. Knead all fondant well before using. Roll the pink fondant out to 1/4 inch thickness; use the quilt pattern roller to emboss the fondant. 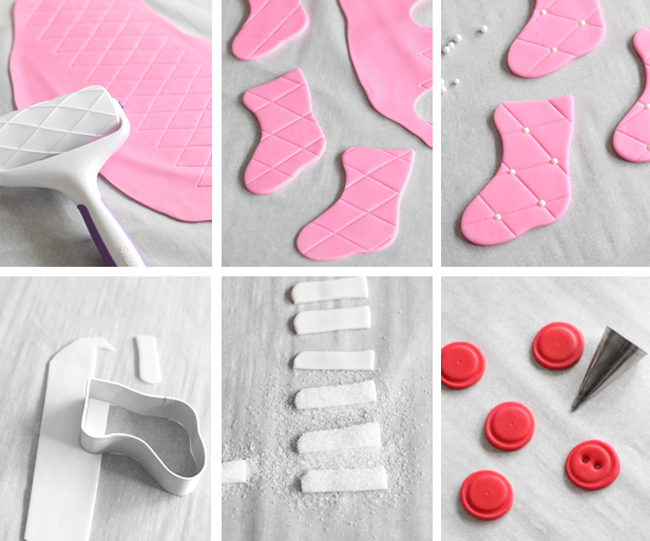 Use the stocking cookie cutter to make stocking-shaped pieces of fondant. Dot the backs of the pieces with corn syrup and lay them on top of a sugar cookie. 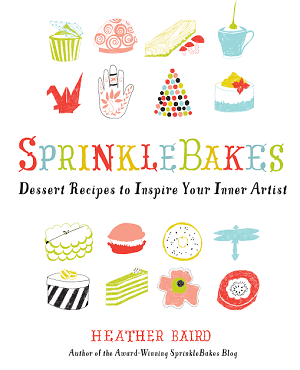 Place a pearl nonpareil at each intersecting line and press it into the fondant. 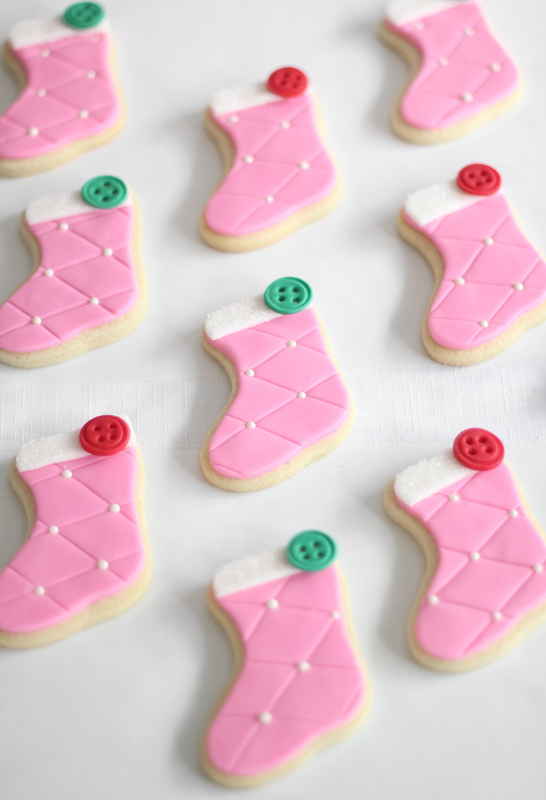 To make the fuzzy white tops of the stockings, roll a piece of white fondant out and cut a straight edge. Use the top of the stocking cutter to cut 1/2-inch pieces of the white fondant. Lightly brush the pieces with water and sprinkle with sanding sugar. Use corn syrup to adhere the stocking tops to pink fondant. For the buttons, roll the red and green fondant flat. 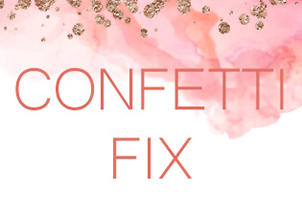 Cut circles using the #3 round decorator tip (it measures approximately 3/4-inch). I used a 1/2-inch magic marker cap to make a button-like impression in the fondant, but you could use any pen cap or even a chapstick lid. Use the #3 piping tip to punch four button holes. Allow the buttons to dry until firm, about 3 hours. Attach them to the stockings with a dot of corn syrup. Allow the cookie to stand until the fondant pieces are set and well-adhered, about 2 hours. Package the cookies in airtight containers or zip-top bags. Hypercute! Those are fabulous cookies. Adorable! You aren't fooling anyone, you are a cookie queen yourself!!! Heather, those cookies are so cute. P.D. Love your shop, it's amazing! Heather, you created the absolute perfect cookies for Marilyn. Lucky girl! These are so super cute! I am pregnant with a little girl and I am dying over these pink stockings.